This was one of the last cars that I did while up there, and I was a bit excited, so I forgot to take some before pictures of it. 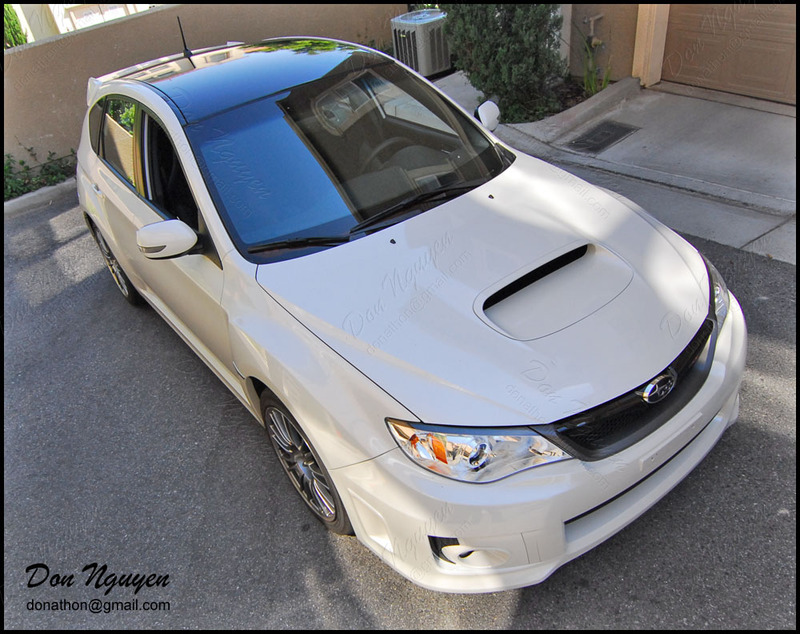 The owner of this white Subaru STI wagon / hatch brought his car to me to have me vinyl wrap the roof of his car with my gloss black vinyl material. Subarus are one of those cars that can pull off the matte or gloss black look. 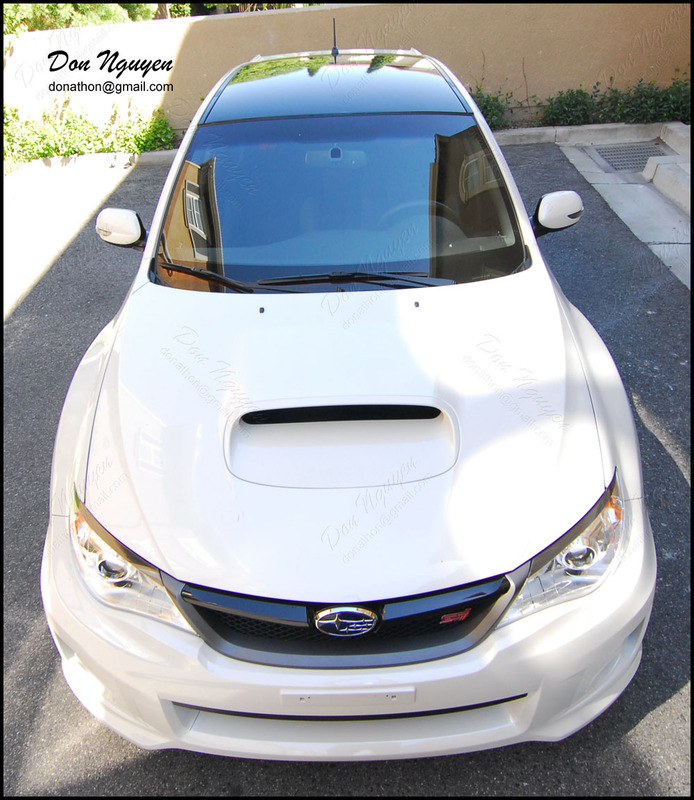 Since there is no sunroof on this car, it gives it a very smooth and continuous result / look.